Verity Systems (M) Sdn Bhd Please kindly contact us at +6016-319 7862 / +603-7880 6766 for more information. 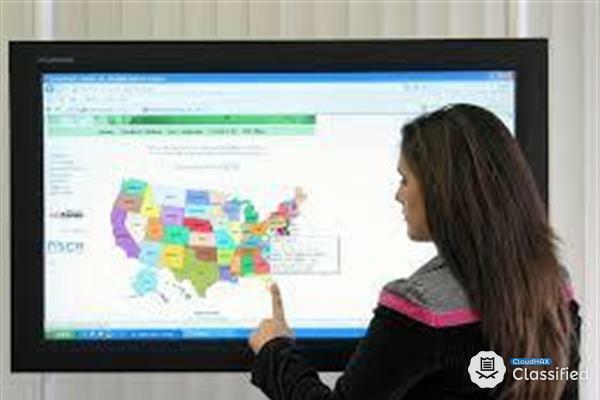 Touch Monitor is ideal for sharing information at any kind of event or location and is an attraction for your visitors. Monitor Size: 19" - 70" Here’s Why VSM Should Be YOUR First Choice Audio Visual Rental Company… 1)Professional Briefing & Set-Up 2)Safety Comes First 3)Large Quantity of Laptop, LED TV and Touch Monitor Display 4)Technical Stand-By Available 5)Quality Guarantee 6)One Stop Audio Visual Rental Solution Please kindly call us at +6016-319 7862 / +603-7880 6766 for further details. Verity Systems (M) Sdn Bhd (573802-D) | The AV Specialist (Rental, Sales & Services) Unit 320, 3rd Floor, Block A, Kompleks Kelana Centre Point, Jalan SS 7/19, Kelana Jaya, 47301 Petaling Jaya, Selangor Darul Ehsan, Malaysia.